Expand submenu Why us? Collapse submenu Why us? This size is a great option fro those larger requirements like accommodation, work space / office, meeting room, or staff lunch room. For the 7.2 metre range there is a large range of options including walls or dividers, bathrooms, and kitchens. Doors can be sliders, stackers, or standard. For the configuration there is enough space for up to 3 rooms. 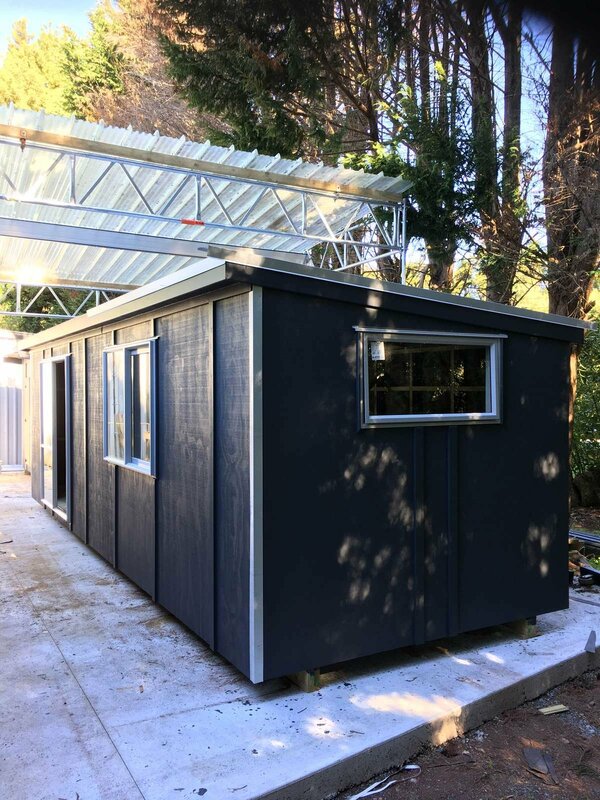 Use this 7.2 metre shed for your own portable bach, storage shed, man cave / woman cave, hobby room, portable office, home office, rumpus room, teenage hangout, or granny flat. The 7.2 requires a hi-ab to move it which adds the benefit of being able to place your building in potentially tougher to reach spaces. Get in touch for a complete quote from build to delivery. Need a large 8 metre portable building? Because we build our portable buildings from the best materials using the highest quality workmanship we can guarantee your portable accommodation will have a long life, be easily maintained, and should be able to be sold when you no longer require it. We oversee the entire project, design, build, transport, install (including plumbing and electrical). All you have to do is plug in the power cord and move in. Zincalume roofing with gutter eave flashings to ensure total water tightness. We have built many different layouts in this size. The end result is really up to the customer requirements and what they like best.